Make diabetes treatment decisions with zero fingersticks and no calibration*. Always know where your glucose number is headed with the new Dexcom G6 Continuous Glucose Monitoring (CGM) System. 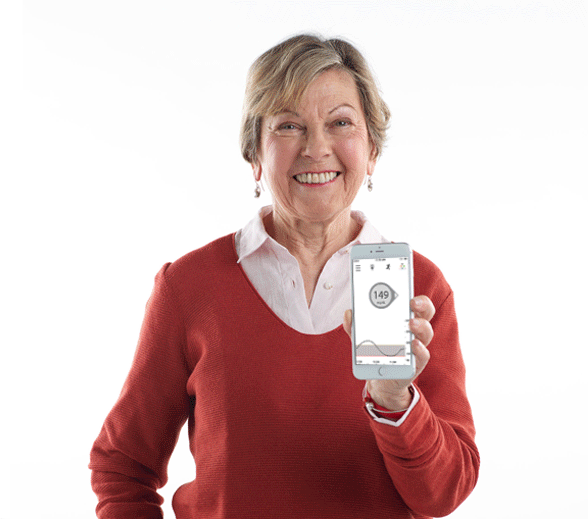 ** Medicare patients can use a compatible device in conjunction with their receiver. See eligibility requirements. 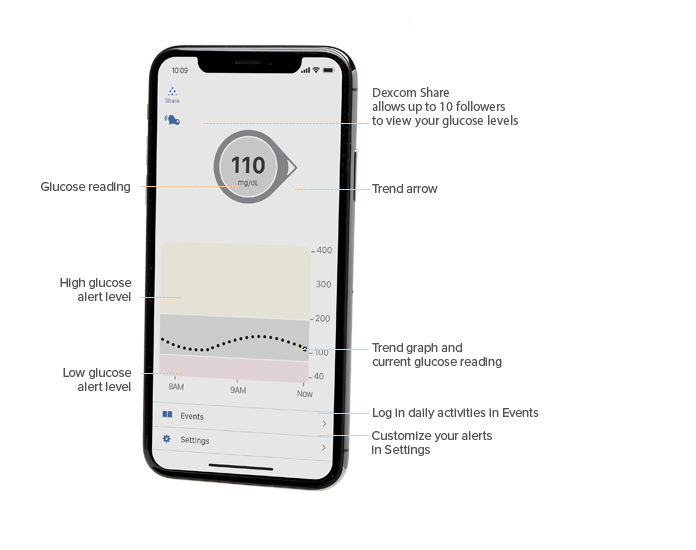 Continuous glucose monitoring gives you a complete picture of your glucose, showing you where it is going and how fast it’s getting there. Dexcom CGM products and accessories give you and your loved ones† the insights to better track and manage your diabetes. Interested in getting a Dexcom CGM System? 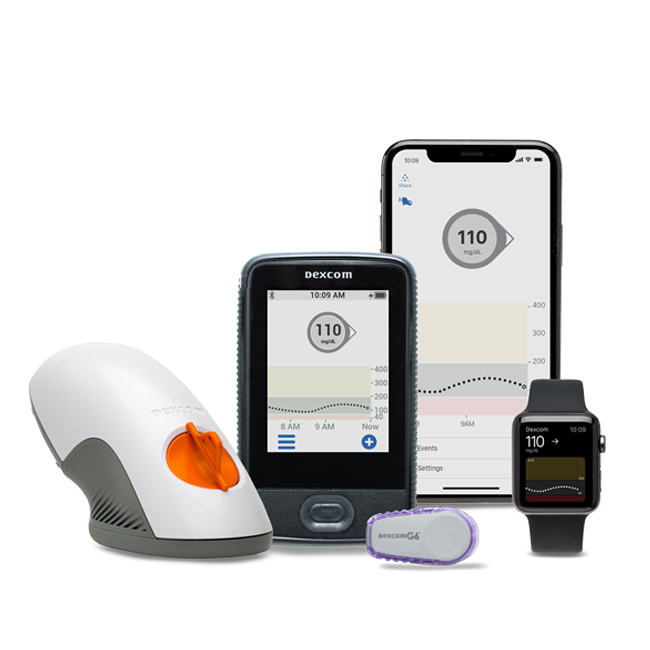 If you are ready to see glucose in a whole new way with Dexcom CGM, provide us with a few details so we can get you started. Have questions about your CGM? Need help getting started? Browse the Support page to find the help you need. Do you know you can reorder Dexcom supplies online? Simply log in or create an account to get started. Research, findings and evidence on the proven benefits of CGM and Dexcom's diabetes management solutions, for clinicians, pharmacists and diabetes educators. Information helpful to employers, insurance providers, and consultants regarding reimbursement, cost justification, and financial benefits of CGM and Dexcom's solutions. 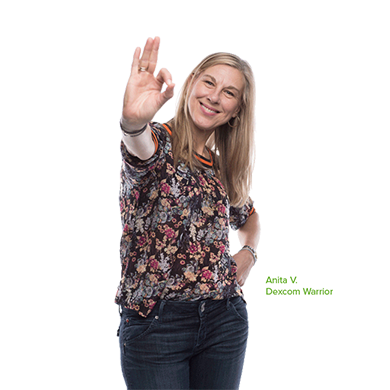 The Dexcom community is full of Warriors who not only take control of their diabetes through proper glucose management, they also live life to the fullest—without limitations. Read their stories and share yours. † Separate Follow App required.